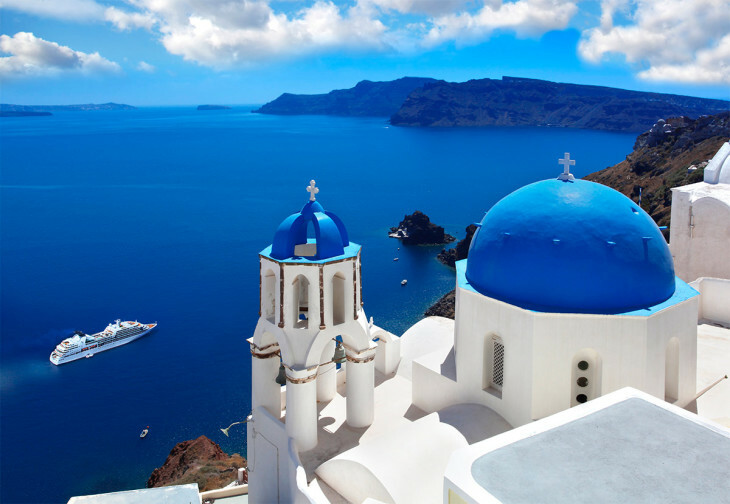 Santorini’s group of islands is consisted of Thera, Thirasia, Aspronisi, Palea and Nea Kameni (Volcanoes) islands and is located in the most southern part of the Cyclades in the Aegean Sea, 63 nautical miles north of Crete. The panoramic views are breath taking as far as the eye could see. 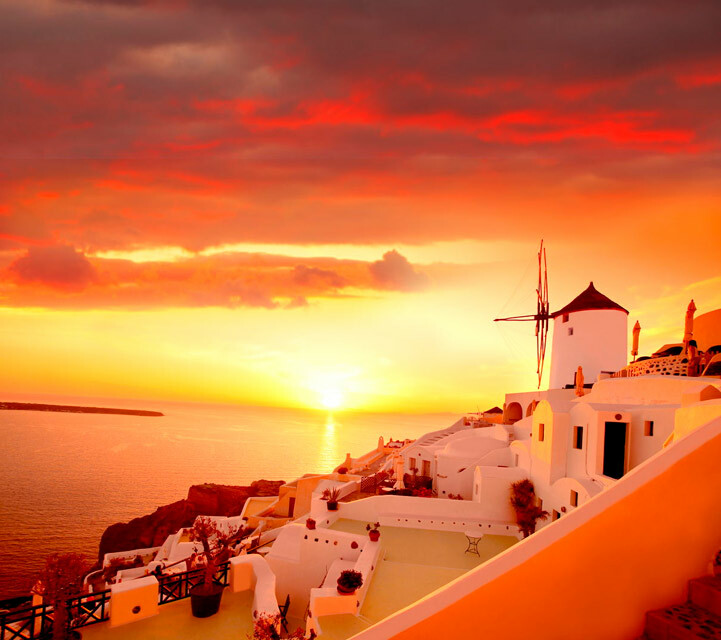 Sunsets in Santorini are truly famous! You must get there an hour to get a good spot. You will enjoy this whether you are a romantic or a zoombie movies type, the island offers the most incredible sunset colors you will ever see. Having a dinner with a view is another great opportunity, the scenery is surrounding you with a very romantic moment. 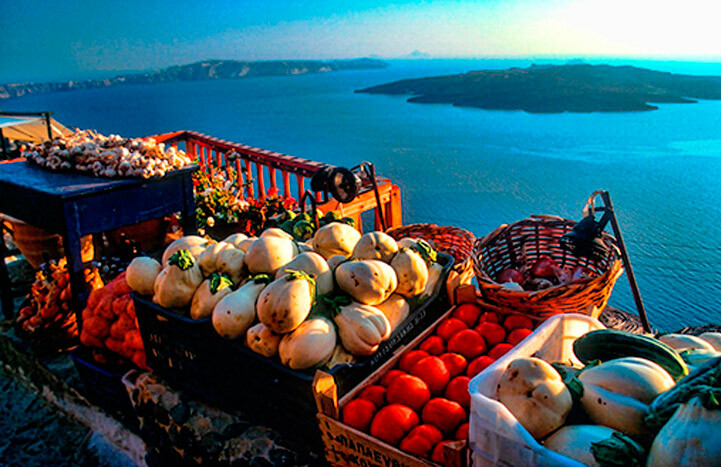 There are many restaurants that offer “dinner with a view” such as Ambrosia, 1800 and Lauda in Oia, Archipelagos and V Lounge in Fira, and Kapari Wine Restaurant in Imerovigli. 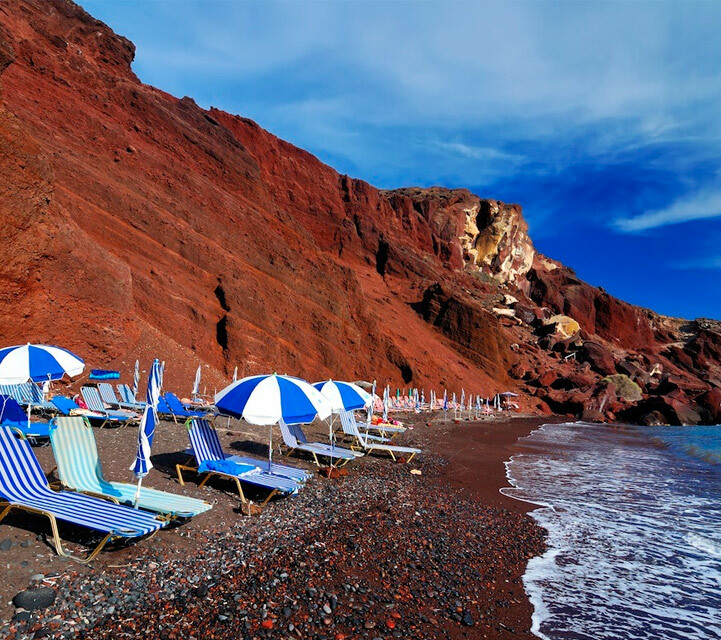 Close to caldera, Thira slopes gently towards the sea, there are many incredible beaches to enjoy: the most famous are the Red Beach and Perissa Beach. You must go early before all the crowd gets there. The beaches are volcanic, not white sand, so they’re either red or black rocks, pebbles or grit, and get very hot on the feet. owever, the blistering atmosphere is unique, you can lay down on your sunbed and get a delicious greek drink. 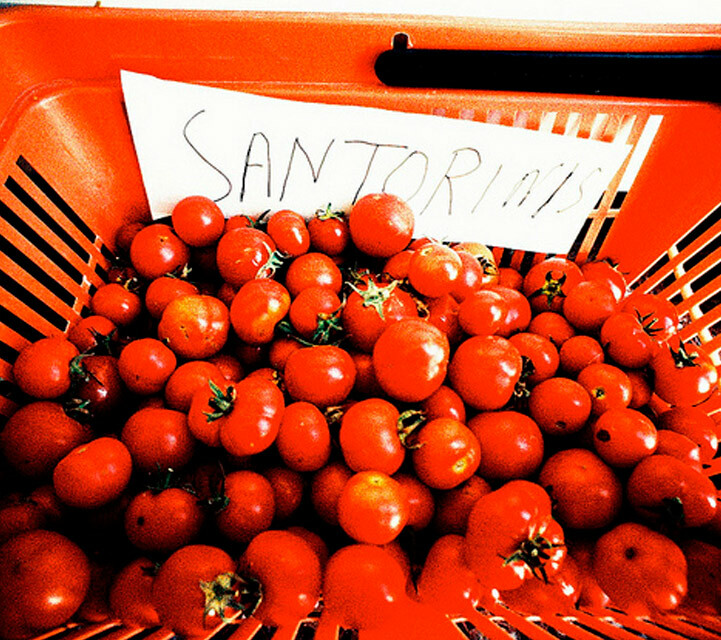 Tomato-kefides: Deep fried RED tomatoes of Santorini mixed with herbs, butter, onions and other secret ingredients. Flaming cherries jubilee: Grilled eggplant. This is treated with a lot of respect in Santorini. Fish: If you want to try the best dish, go to Family Run Fish Tavernas located near the smaller beaches. Many times you will catch the owners catching their own fish and cooking a special recipe for you. Flower bread: Forget the gluten. Pan fired crusted feta cheese with honey: This is something you can’t miss. Perhaps you have seen it in many menus around the world but you must try it in Santorini. 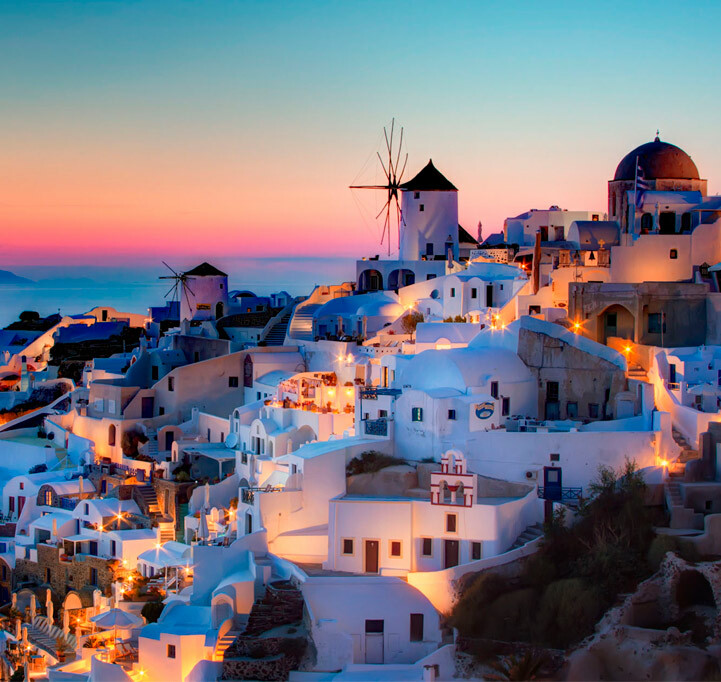 Santorini is unique in many ways, specially for the charming little villages perched atop the soaring cliffs. There are many Cycladic small houses of decoration at the cliff edge of the caldera, their walls are pure white colors with azure-blue roofs; they face down the cliffs about to drop into the blue sea. Thira are is mostly for tourists but most of all the villages are quiet. 5. 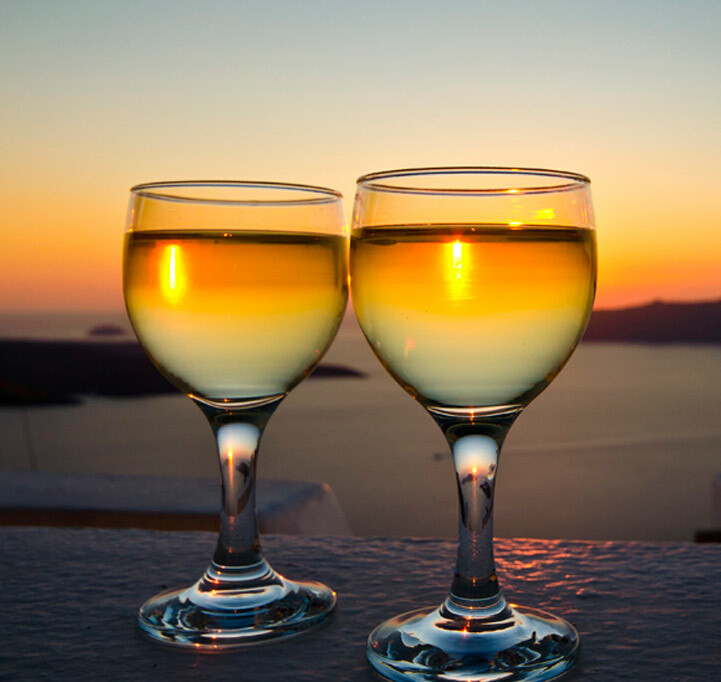 The great local wines Santorini wine has been produced since ancient times, and the vines reap the richness of the island’s volcanic-ash soil. White wine is excellent! Sparkling wine also. For some reason the red wine is less desired. Santowines is the largest and most famous winery that produces some outstanding whites.